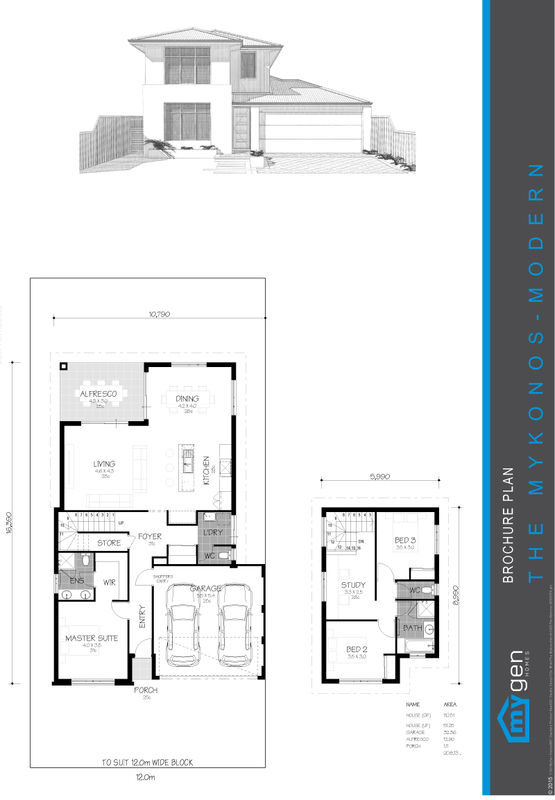 With over 170sqm of living area, the Mykonos is an extremely structurally efficient and functional home. 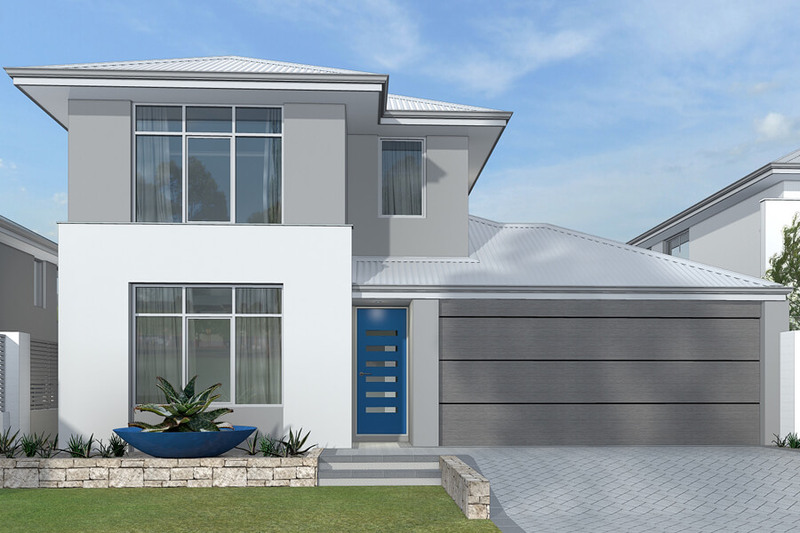 Suiting compact front loaded lots in subdivision, the home is also perfectly suited for in-fill developments close to urban and suburban centres and is an ideal town house solution for investors looking to maximise yield on tight sites. The double shaped living suits most block orientation for maxim energy efficiency. The singular plumbing duct significantly reduces the cost of the build. The entry has a foyer and extra store by the staircase that leads to two bedrooms and a study upstairs, providing a separate living area. The Mykonos is stylish and affordable!